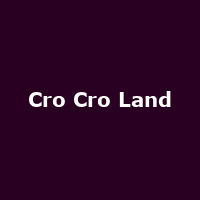 New for 2019, Cro Cro Land is a Croydon-based festival with a mission to: "bring guitar bands back to the birth place of punk, and celebrate the area's rich musical history". The festival will feature both established and up-and-coming bands, presenting "a balanced bill, and crew where women are fairly represented." The 2019 line-up features: Blood Red Shoes, The Lovely Eggs, Nova Twins, Bang Bang Romeo, Moses, Sisteray, Bugeye, Berries, Useless Cities, Chorus Girl, Fightmilk, The Weird Things, Weekend Recovery, Feral Five, Kath & The Kicks, Smiley and the Underclass and more.